The FBI is investigating Jane Sanders over a sketchy land deal she spearheaded while she was president of Burlington College, ultimately bankrupting the school. Justice Department officials and the Federal Bureau of Investigation have investigated the wife of Vermont Sen. Bernie Sanders — and may still be investigating her — over her role in the possibly fraudulent acquisition of nearly $7 million in tax-exempt bonds when she was the president of Burlington College. An extremely ambitious expansion and fundraising effort spearheaded by Jane Sanders ended up bankrupting the tiny, private and now-defunct school in Burlington, Vermont. It closed its doors — suddenly and permanently — in 2016. 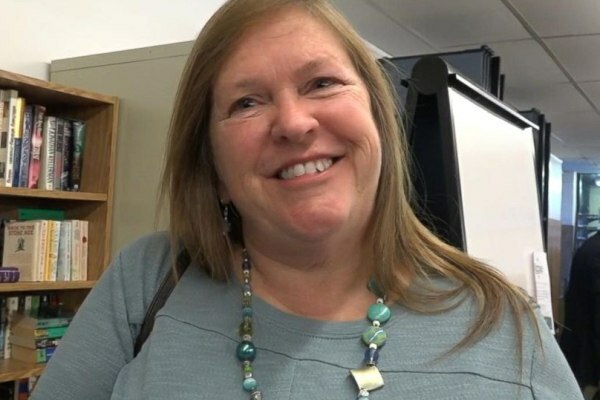 Jane Sanders, who was the president of tiny Burlington College from 2004 until 2011, masterminded the expansion plan, which would have more than doubled the enrollment of the school (from about 200 full-time students to over 400). The plan required the college take on $10 million in debt to finance the purchase of an expansive new campus. The real estate purchase backfired massively, leading to Sanders’s departure from the college and its eventual collapse. Sanders suggested at the time that she and the school had lined up several donors ready to fork over $2.6 million. And that was just the tip of the iceberg, Sanders promised at the time. Many other potential pledged donations would be forthcoming. And thus, in 2010, did the state finance agency grant the school $6.7 million in tax-exempt bonds. After Sanders orchestrated the deal involving the $6.7 million in tax-exempt bonds, the fortunes of Burlington College took a serious turn for the worse. Burlington College did not receive anything close to $2.6 million in donations. In fact, from 2010 to 2014, the school only received $676,000 in donations, according to The Vermont Journalism Trust. Jane Sanders denied any wrongdoing because let’s face it, Socialists see nothing wrong with wasting other people’s money. Sanders also agreed to a settlement after her resignation in which she collected approximately a $200,000 severance package. No worries, though, she is enjoying her new beach house. Nothing to see here, folks. This school was founded in 1972 and was humming along until this brilliant Socialist came up with an elaborate bank scheme, ran it into the ground and walked away with cash in hand. Typical leftist; they destroy everything they touch.